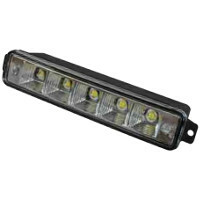 Daylight running lamp, 12/24 volt LED, black die cast alloy body for through panel mounting. 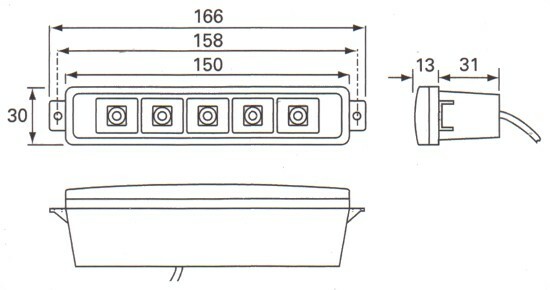 Supplied as a kit with two lamps and wiring harness. ECE approved. Daylight running lamp, 12/24 volt LED, black die cast alloy body and steel mounting bracket. Supplied as a kit with two lamps and wiring harness. ECE approved.